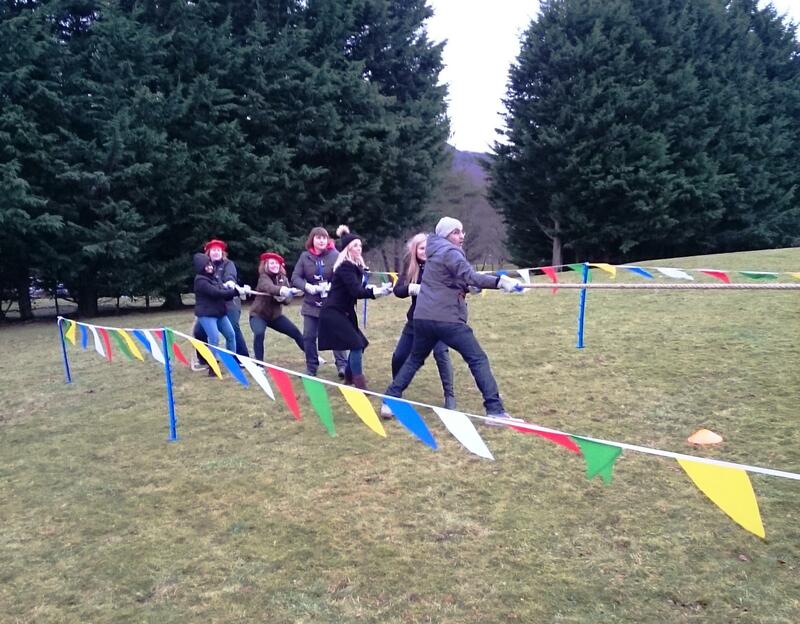 Braving the cold and the rain at the fabulous Macdonald Aviemore Hotel, a group of delegates from Novartis Pharmaceuticals joined Team Challenge Company for a day of Highland Games activities. 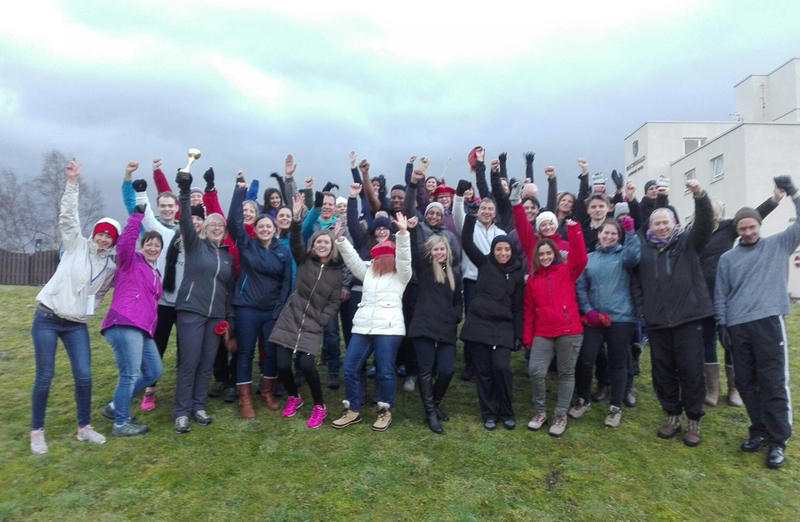 Competing for the Team Challenge Company Winner’s Trophy, the group would split into teams and take part in various activities in a bid to win the most points and avoid taking home the Loser’s Wooden Spoon. The group was split into 6 teams and given their team signs, before joining us back in the middle for our classic Team Challenge Company Warm Up which saw them running on the spot, doing star jumps and working up a sweat! 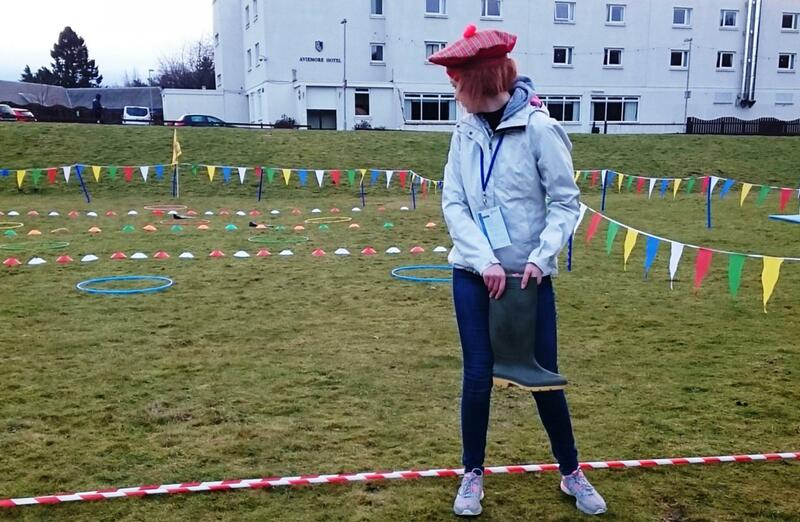 Suitably riled up for the challenges ahead, the teams split off to their first rotations, going head to head at the Stone Lift and Tug o’ War, Fly Casting, and Welly Throw stations. 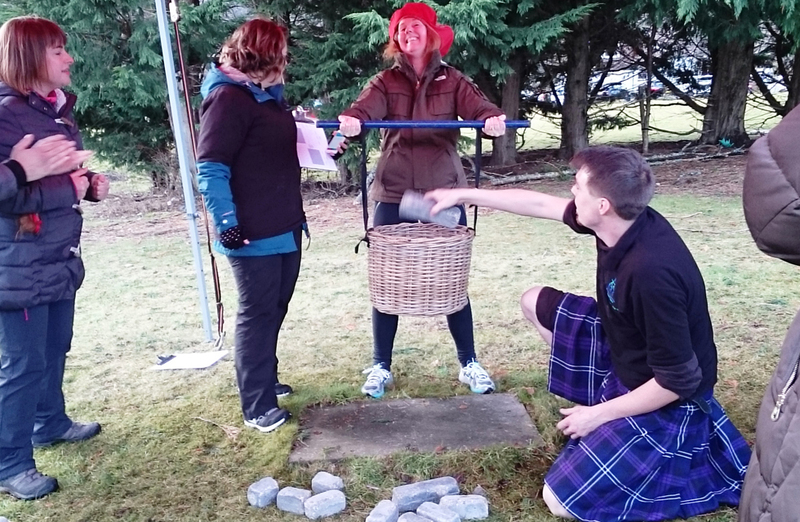 Showing their strength and taking home a huge 2000 points with a win at both Stone Lift and Tug o’ War was Team 1, who unfortunately did not manage to continue the winning streak at either Welly Throw or Fly Casting. Team 3 seemed to just miss out on top spot at each station – maybe they would have more luck in the next set of rotations! Coming up victorious in all of the first three rotations and showing off their strength and accuracy (and maybe some luck was involved) was Team 6! After the success of the first three rotations, it was time to move on to the last – and most exciting – three! 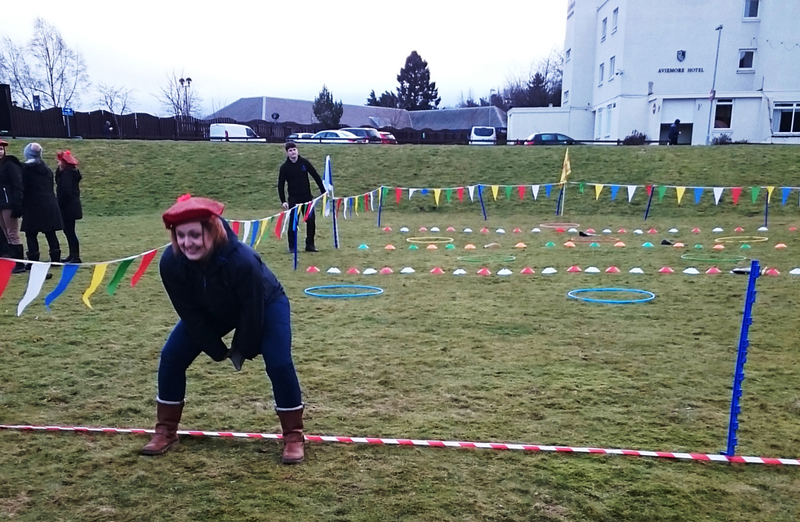 The teams only had a few more chances to win the big points and finish in the top spot – competing in the Haggis Hurling, Caber Toss and Hey You Jimmy obstacle course saw the teams facing many challenges – and not just the cold, wind and rain! The next three rotations saw Team 3 bringing it back and squashing the competition at all three stations! Team 4 showed incredible speed and flew round the Hey You Jimmy course, even bagging themselves some bonus points for being the first to empty their bucket as well as fill it! Despite some difficulties with the wind over at Caber Toss (the mats taking a trip right through the Haggis Hurling station!) 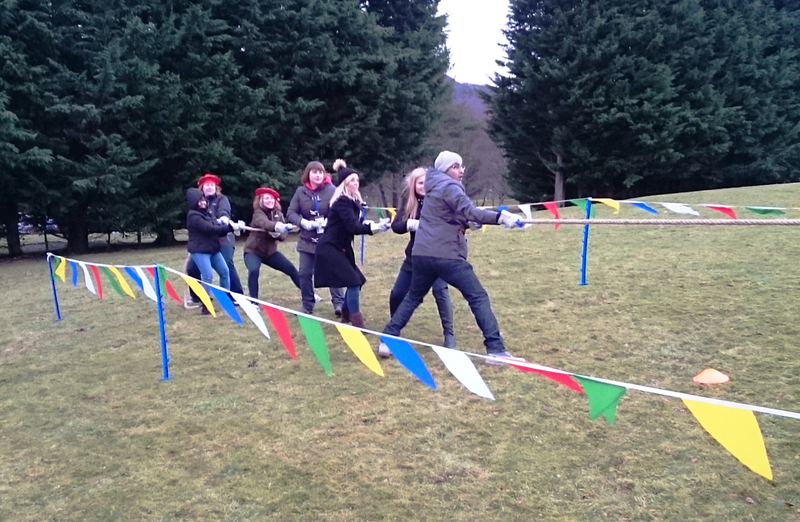 Teams 1 and 4 managed to stay on track and gain some points, working their way towards the Winner’s Trophy! Once all the rotations were finished and all the possible points won, it was time for the scores to be added up and the Trophy Presentation to begin! Coming in at Last Place and taking home the Loser’s Wooden Spoon, with a still impressive 6000 points, was Team 2! With only 200 more points and in 5th place was Team 1! With 6300 points and in 4th place was Team 3. The competition was tight for the top three spots and with 6500 points and taking 3rd place was Team 5! Just missing out on the top spot and the Winner’s Trophy, with a huge score of 6650 was Team...4! Well done Team 4! But winning a massive score of 6900 and only losing at one station throughout the entire event, taking home the Team Challenge Company Winner’s Trophy was Team 6! 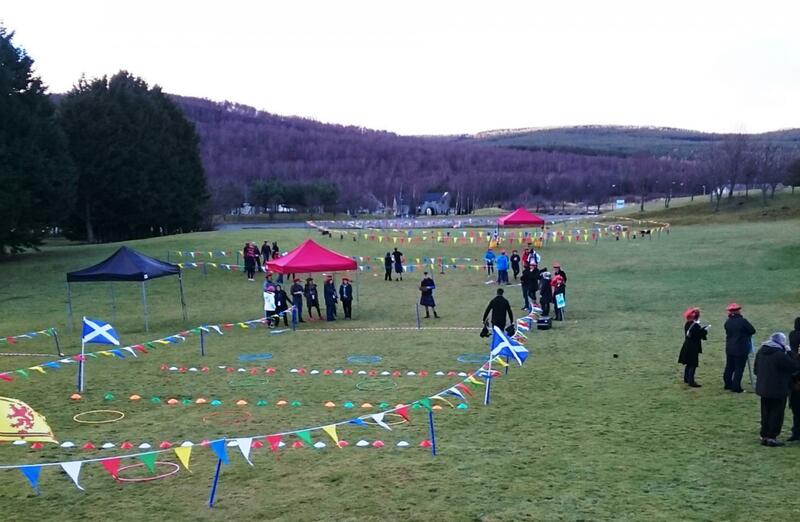 A huge well done to everyone who took part in the day, fantastic efforts all round! 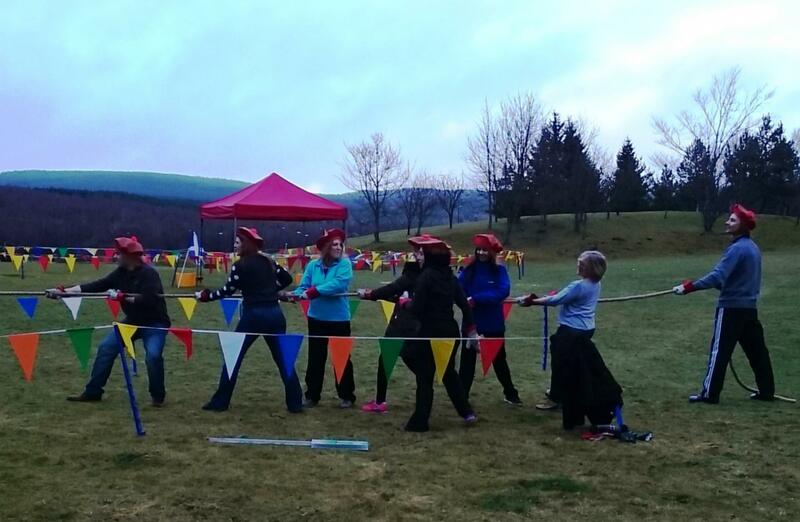 A massive thank you and well done to Kirsten for organising the day, we all had a great time and hope you did too! Our team enjoyed working with you all and hope to see you again soon!